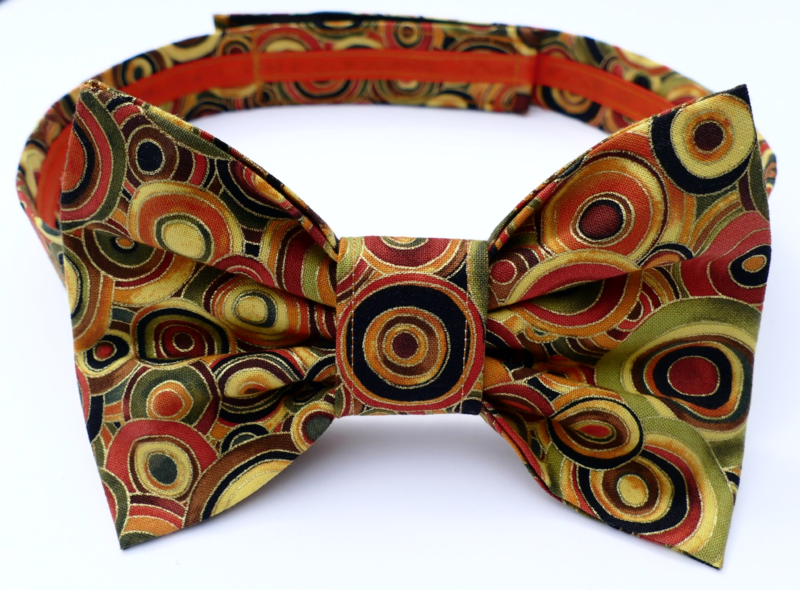 This is a luxurious, super-cool and groovy dog Bow Tie incorporating retro circles in warm golden tones. 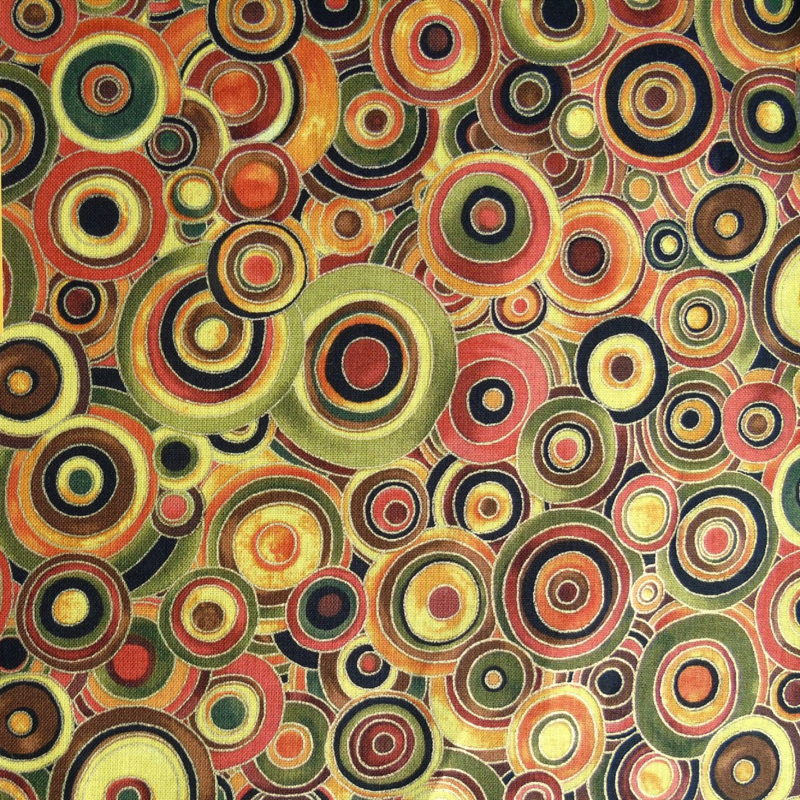 It's a really cool and unusual design, with influences of artist Gustav Klimt. 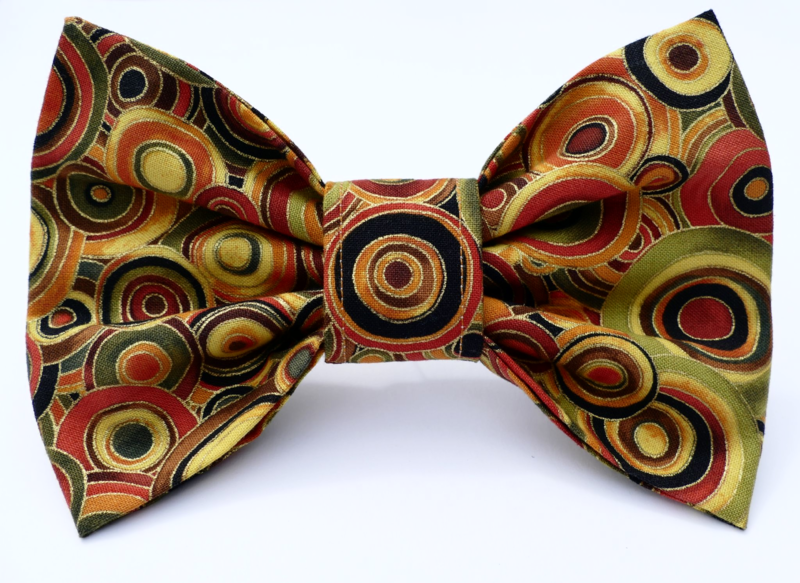 There is metallic gold in the print, and this Bow Tie will certainly make your dog stand out in the crowd! It's a perfect accessory for any fashion conscious dog about town or country!! This design will look extremely stylish on any dog, large or small.